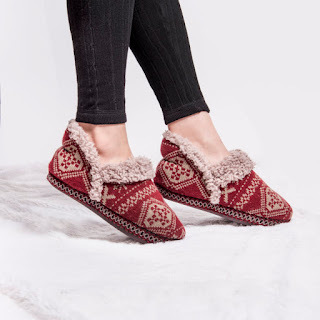 Head over to get this pair of MUK LUKS® Women's Magdalena Slippers for ONLY $13.99 (Retail $38) + FREE Shipping! Snuggle into our MUK LUKS® Women's Magdalena Slippers to experience everything a slipper should be. Stylish ruching is accented by faux fur details and a variety of patterns. Wipe with a damp cloth to clean, no bleach and lay flat to dry. Imported.